To combat the fine and yellow dust sweeping the country, it is advised to wear a mask from and above KF80. 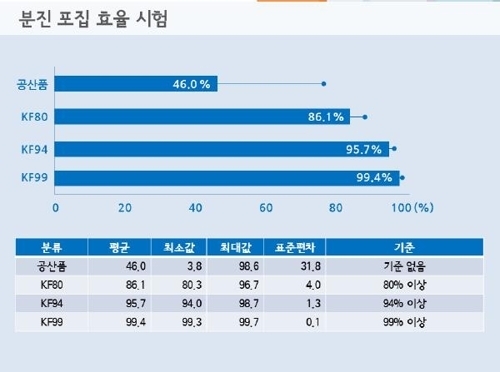 Seoul Research Institute of Public Health and Environment conducted dust collection efficiency tests, which evaluates the level of fine dust prevention, on 39 prevention masks and 11 regular masks from February to May in 2017 to test out the efficacy of masks. It announced Wednesday that prevention masks KF80 blocks 86.1 percent of fine dust on average while KF94 blocks 95.7 percent and KF99 blocks 99.4 percent. KF, acronym for Korean Filter, is the mark of approval as a reliable prevention mask given by Ministry of Food and Drug Safety. The number next to the KF mark signifies the rough percentage of particles masks can prevent. Regular masks only blocked 46 percent of fine dust on average in dust collection efficiency tests. It means regular mask users will inhale more than half of the fine dust hovering in the air. Meanwhile, the preventive masks may not be reused after washing with soap. The preventive capacity dropped 22.8 percent after washing the masks with soap according to the official. 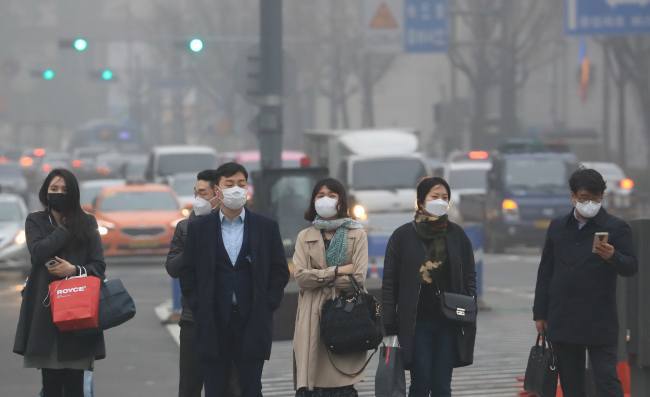 “Wearing a preventive mask is the only way to protect yourself from fine dust, classified as Group 1 carcinogen,” said the official.